BRNO, Czech Republic—For two days, Shen Yun Performing Arts stopped at the historic city of Brno in the Czech Republic, presenting audience members in the central European city with authentic classical Chinese dance and music and the essence of Chinese culture. 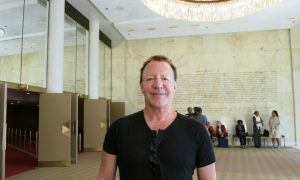 Shen Yun put on two performances at the Janacek Theatre on Saturday March 26, and one performance on Sunday March 27. 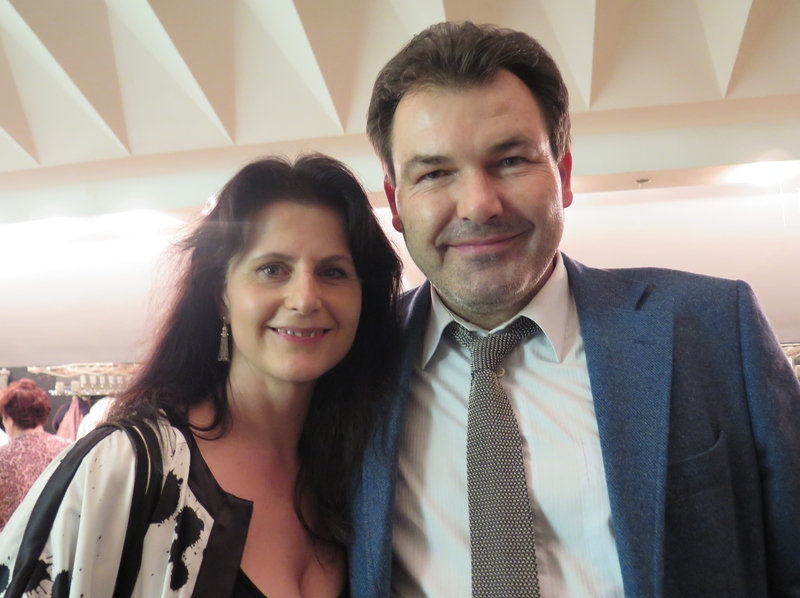 Daniela Novotna, deputy judge of the Teplice District Court, made about a 190-mile drive to Brno with her husband just to see Shen Yun. “Magnificent, amazing arrangements,” Ms. Novotna said. 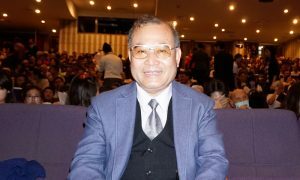 Through the performance, Ms. Novotna said she got to learn more about Chinese culture, and pointed out that people anywhere, including the Czech Republic, could find commonality with the values Chinese culture presented in Shen Yun. “Traditional values such as goodness and morality can reach people even here at home. It’s a link,” she said. Based in New York, Shen Yun presents classical Chinese dance and music, with the performances rich with values from the ancient Chinese culture such as benevolence and justice, propriety and wisdom, and respect for the heavens. Ms. Novotna’s husband, Pavel Novotny, head of trade department at Severoceske Doly, said there’s a lot of value in people becoming more familiar with Chinese culture. 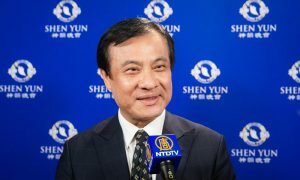 He added that he was impressed by Shen Yun’s orchestra, which combined traditional Chinese instruments with classical Western ones. He said they will definitely recommend Shen Yun to others. 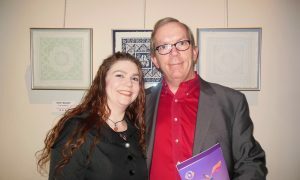 Iveta Outratova, a well-known book illustrator in the Czech Republic, admired Shen Yun’s dances. “Their tenderness, probably based on their feelings, comes from within,” she said about Shen Yun dancers. 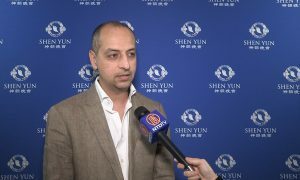 Noting that Shen Yun cannot currently be presented in China, which under communist rule has suffered from decades of oppression, Ms. Outratova said she could relate to the adversity borne by the Chinese, as the Czech Republic was also once under communist rule. “We’ve also experienced it here, so we know what it’s about,” Ms. Outratova said. 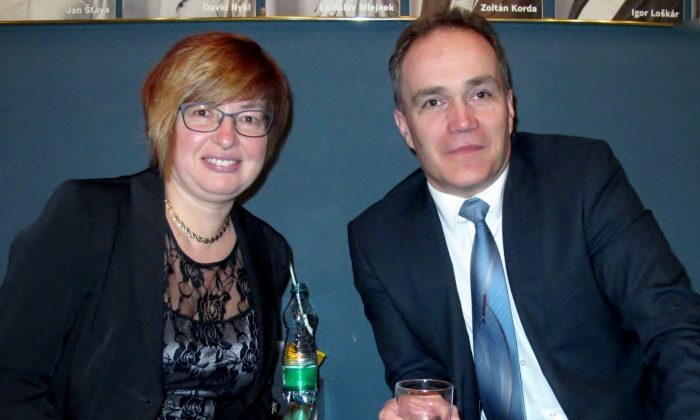 “It is a great pity that they are so oppressed in China,” added her husband, Roman Outrata. 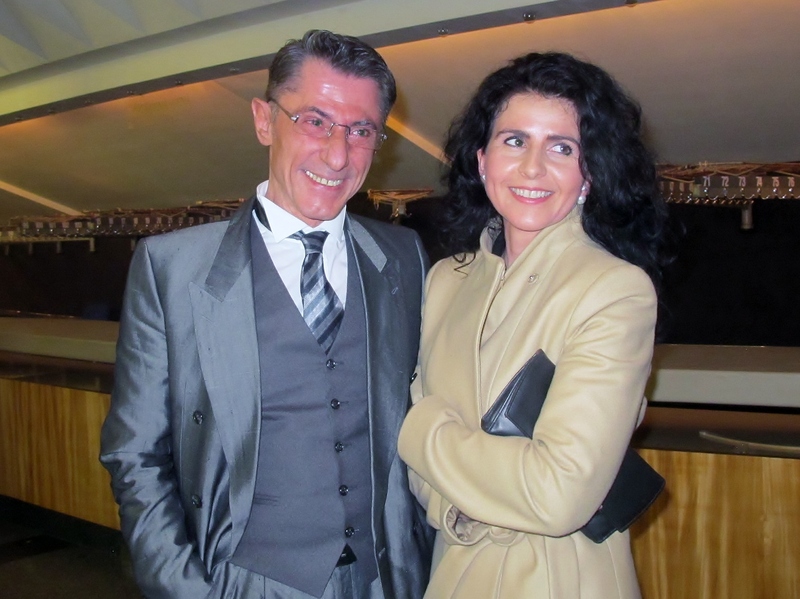 Jitka Opletalova, who works in the fashion industry, was amazed with the costumes and other design aspects in Shen Yun. “Amazing, beautiful experience. Costumes and the decor were wonderful,” she said. 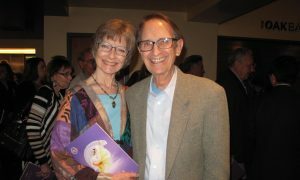 Her partner, Jean Carlo Dernie, a sculptor, said Shen Yun allows an audience to detach themselves from stress and the outside world. Shen Yun helps “get people into the world within,” he said. Vera Sajdok, a regional television journalist, said she enjoyed the choreography, beautiful costumes, and the digital backdrops in the performance. She also enjoyed seeing the values from China’s divinely inspired culture as presented by the performers. 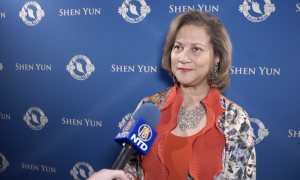 “The values that [Shen Yun] portrays are inherent in all people, not just the Chinese people … It is the goodness and kindness of people, and it affects every part of the world,” she said.